Many years ago, there lived an ape-like creature that stood an astonishing height of 10 feet, or more than 3 meters tall. This strange creature weighed nearly half a ton and would have been the largest primate to ever roam the earth. Before extinction, it is suggested that they would have lived primarily in what is now India and Southeast Asia. This species is known as the Gigantopithecus. What do we know about the Gigantopithecus? 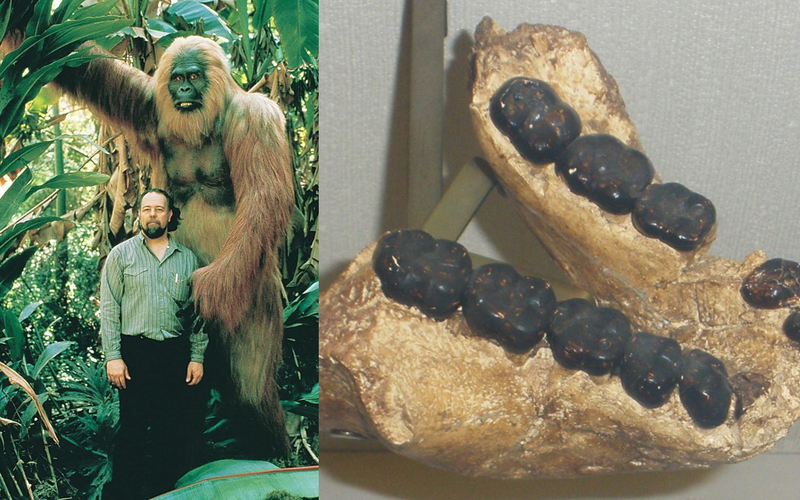 Based on these teeth, the Gigantopithecus is thought to be closely related to early humans. The teeth, which are noticeably larger than a gorilla’s, are the means by which we can gauge the approximate size of these giant apes. Prof. Friedemann Schrenk with tooth of Gigantopithecus Blaki; Source: Forschungsinstitut Senckenberg. But there’s another interesting thing that can be deduced based on these slim fossil findings. The jawbones that have been found seem to grow wider towards the back which would allow for the windpipe to sit within the jaw – similar to humans. This means that the head of the Gigantopithecus would have rested on top of the spine rather than in front of it as is the case with other apes aside from humans. And what does this all mean? If the head were to be on top of the spine, this means that the Gigantopithecus would have been Bipedal. Until now, the only fully Bipedal mammals / primates / apes are Humans. 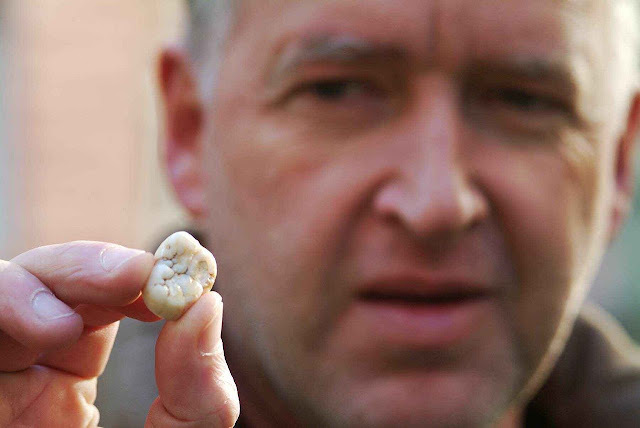 Could Gigantopithecus have been a Giant Prehistoric Human? Based on its close similarities to humans, the answer is – quite possibly. 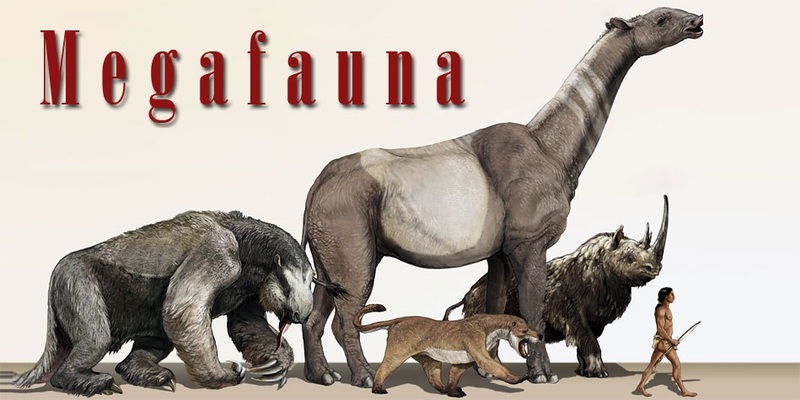 In prehistoric times, there have been multiple instances of giant mammals that are survived by a smaller modern counterpart. The Megatherium – A Giant Sloth, nearly the size of a modern day elephant. Castoroides – A giant beaver that grew to a size of 2.2 meters. Was Gigantopithecus a giant ape or a giant hominid? This is perhaps a question that can only be answered with additional evidence. If we are to find more remains of the Gigantopithecus such as limbs, or even a full skeleton, that is likely what we will need to know for sure if this mysterious creature was ape or man.